To make burger, is a sandwich which consists of bun, a cooked patty either vegetables or of meat items and often other ingredients such as cheese, onion slices lettuce or condiments. It serve as a combination of things mentioned above. Burger can be made in home as well as we can have them in the fast food centers. 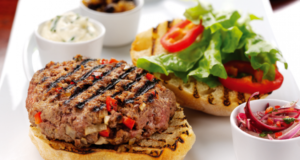 Burger recipe just takes 40 mins for making five burgers including toasting the bun and making patties either of veg or of meat items, then preparing lettuce onions tomato and then the sauce /dressing. 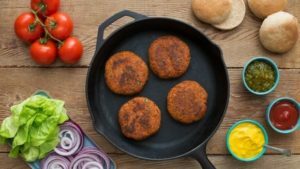 Here are some ideas of making burger with easy and simple steps of veg burger and meat burger recipe. 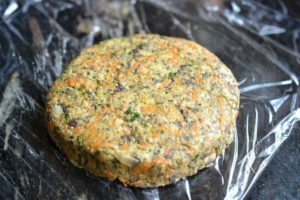 Veg Burger can be made my including toasting the bun, making veg patties then preparing lettuce, onions, tomato and then sauce. 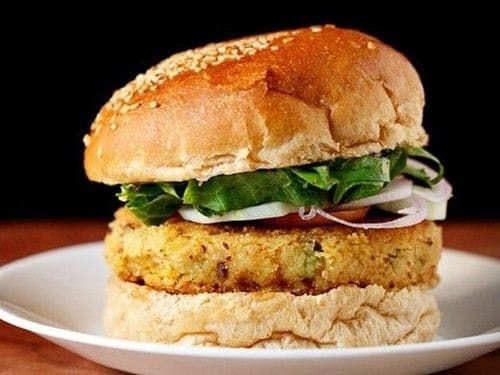 Veg Burger recipe uses only veggies to make the patty and no beans and no soya is used. We can use rice flour in this recipe which is the best choice for absorbing the moisture in the steamed veggies. We can also use bread crumbs if we don’t have rice flour. add tomatoes and sauce. Place the other slice of bun. Veg burger is ready. Your veg burger is ready to be served. 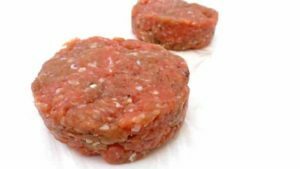 How to make burger – Meat Burger Recipe? This recipe uses meat to make patty and rice flour is used as absorbing the moisture in the steam meat.And then you can add onion slice,chopped tomatoes and sauce as you want. Tip the meat (may be chicken, beef, buff etc.) into a bowl with the onion and egg, then mix it well. Divide the mixture into five. Lightly wet your hands. Carefully roll the mixture into balls, each about the size of a tennis ball. Set in the palm of your hand and gently squeeze down to flatten into patties about 3cm thick. Make sure all the burgers are of the same thickness so that they will cook evenly. Put on a plate, cover with cling film and leave in the fridge to firm up for at least 30 mins. Next story How to Make Cheese Burger? Previous story How to Make Beef Burger?